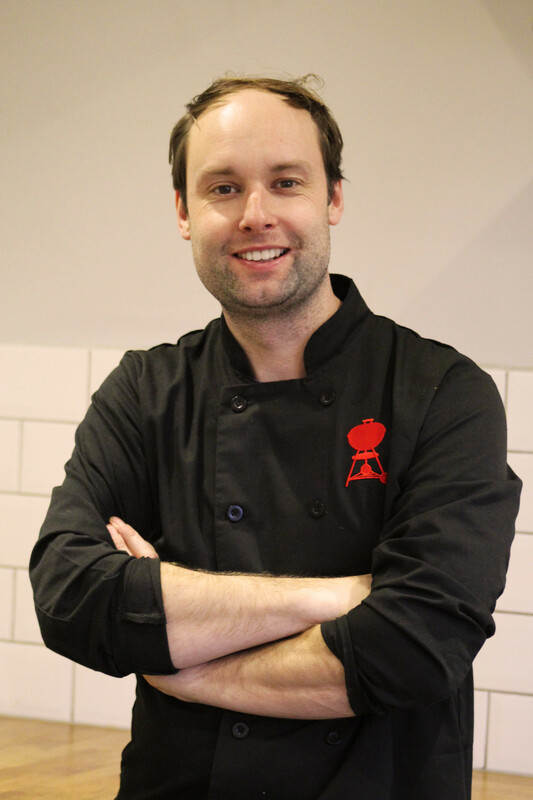 With a passion for great tasting, uncomplicated barbecue food that is sure to delight, Dan Cooper, is here to provide you with tips, techniques and inspiration to ensure your barbecues are legendary. But first, let’s get to know a little about the Weber Head Grill Master. What is your role at Weber? I’ve worked for Weber for 8 years now and I am very proud the be known as Head Grill Master. The Head Grill Master is similar to an executive chef position and my role involves over-seeing all food related activities. It’s a varied role - from developing recipes, whether for our website, demonstrations at retail stores or festivals; to training our Grill Academy chefs on new courses or working with our hotel and restaurant partners, there’s never a dull moment! Using my experience and creativity is essential in guiding the content, ensuring high standards and quality is maintained across the board at all times. I love uncomplicated cooking and I am passionate about championing quality ingredients. We work with Daylesford Organic Farm and use their meat for all our demonstrations at stores and at festivals. If you start with great ingredients then creating delicious food on the barbecue is so much easier, it’s simply a matter of knowing a few key techniques. One of my favourites is a Beer chicken. It produces the tastiest chicken you can imagine. That comes from the beer that steams the inside, keeping the meat tender and juicy, while the heat on the outside gives you delicious crispy skin. What is your go-to ingredient? They say it’s unhealthy but salt is a true wonder. I like sea salt flakes. That’s easy – cook the Weber Way. A little bit of know-how that is the starting point for any barbecuer, a technique that can be applied to any recipe to make sure you achieve the best results. What do I mean by the Weber Way? – Well, firstly it’s all about lid on cooking. Using the lid as you barbecue keeps the heat inside, so you can maintain an even temperature, it also regulates how much oxygen gets to the grill, minimising flare-ups. Secondly, it’s about choosing the right cooking method – if you’re grilling, say burgers or a steak, you want heat directly under your food. If you’re cooking larger pieces of meat, perhaps roasting a whole chicken, then set up the heat either on the fuel grate and place your food on the cooking grate where there is no direct heat. Setting up your barbecue this way, and cooking with the lid on you effectively create an oven-like environment. Finally, it’s about checking your food is cooked to perfection with a thermometer. I think in many cases we grow up expecting barbecue food to be less than delicious – accepting that sausages will be blackened on the outside, just because we want to be SURE they’re cooked on the inside. But it doesn’t need to be this way, use a quality meat thermometer to probe the thickest part of your food and you can be sure it’s cooked thoroughly without being overdone. Aside from this when you’re barbecuing, leave it. Don’t mess or fiddle with meat or food on the grill too much. Allow flavour to develop by forming a good external crust or char. 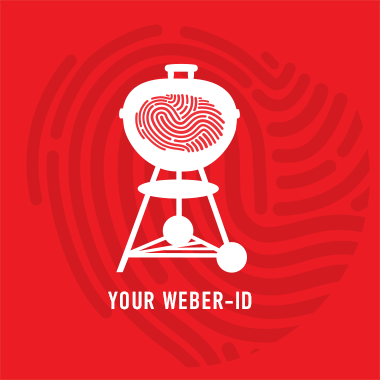 What’s your favourite Weber accessory? Oh wow, that’s a tough one – there’s so many to choose from and I have most of them! I’m going to cheat a little and pick two. Firstly, I simply cannot get enough of the Charcoal rotisserie. The food self-bastes as it rotates, so it delivers sensational results no matter what meat you choose. It’s also really easy to use and creates a bit of theatre on the grill. My other favourite piece of kit, and a must-have in my opinion is the iGrill. One of the key elements of the Weber Way of barbecuing is a thermometer. It’s the ONLY way to be sure you achieve perfectly cooked food and don’t undercook or overcook.. iGrill is a next-level version of your standard meat thermometer – it connects to an app on your phone: you just tell it what you’re cooking, how you’d like it cooked and the app will alert your phone when it’s ready. Great if you’re cooking multiple items, but also if you’re like me and want to spend more time with friends rather than standing by the barbecue. We have developed a new Grill Academy course, called Essentials II, so I’m excited to launch this and to see what our customers at the Grill Academy think! Alongside covering all the key skills from lighting, to cooking methods and cleaning, the course has some delicious new recipes to inspire barbecuers. One dish I want to encourage everyone to try this year is beer chicken. I’ve already mentioned how tasty the results are, so I’m looking forward to experimenting more with recipes and to seeing what variations our Weber community on social media come up with. Finally, I’m thrilled to have the opportunity to write this blog! I’ll be offering regular insight and tips on how to get the best results from your barbecue based my own experience, as well as advice on how to make your barbecues legendary, whatever the occasion.